Your Versovino delivered at your doorstep! Functionality combined with originality. A musthave for every wine lover. That is Versovino! Your favorite wine decanted in a jiffy and served to your guests in a spectacular way. Probably you have seen our sommelier use this special device in one of our restaurants. 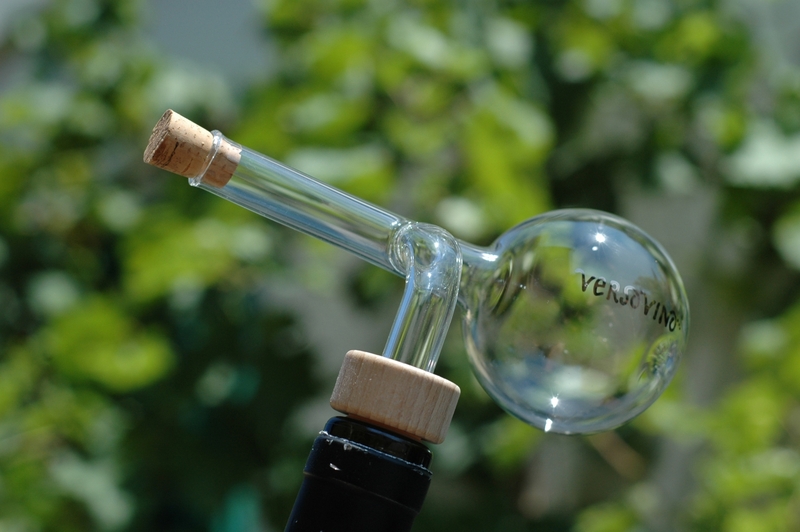 Versovine is a small handblown glass decanter from Italy only available in our restaurants. Please order through our website. It will be delivered to your doorstep in a beautiful giftbox! Priice per piece € 27,50 including VAT, excluding € 7,50 shipping costs (in Holland). 5 Versovinos or more? We take care of the shipping costst! For reservations and other information Hotel-Restaurant "De Zwarte Boer" can be reached directly at tel. +31 577 407395.